All I can say today is that the MoP Beta has been horribly buggy lately, especially with the latest patch. I don’t know why it has been so bad, but it’s driving me batty! Don’t believe me? Then take a quick look at the picture below. 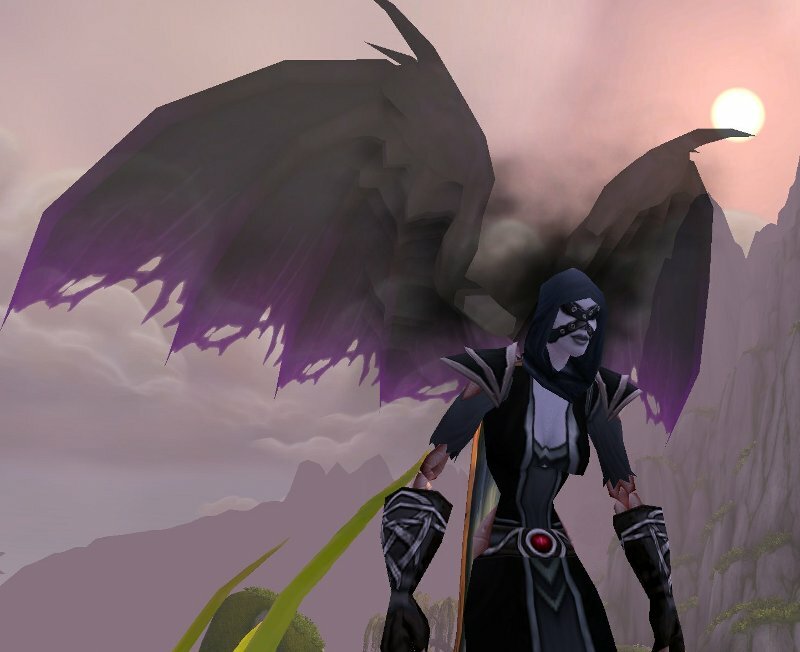 Demon wings for warlocks! I just wish it was for all three specs! Actually, what you’re seeing is a new graphic form in the Demonolgy Tree and it’s called Dark Apotheosis. Sweet, right? I truly make those wings look hawt! OMG, can you imagine putting those on a goblin or a gnome? Bah! It would be like seeing demonic Olsen Twins. Hey, that reminds me…you might want to watch the equals three video on Youtube about the demonic Olsen Twins. Please keep in mind that Ray William Johson uses a lot of adult language, so don’t get offended because I’m warning you about his crude humor in advance. The video clip I’m talking about takes place at 2:29 mins into the video right after the singing dog. I know images of demonic Olsen Twins sounds crazy, but you have got to watch to appreciate it. You can catch it here =3 Pizza or Demonic Olsen Twins.